The word smog is a combination of the words smoke and fog referring to smokey fog. The word was coined in the early 20th century in London to describe a phenomena that became increasingly common to industrial cities. Pea soup fog was a phrase used to denote air pollution that occurred in 19th century to mid 20th century in London. The source of London's pollution was the burning of coal for power. Coal-generated power creates air-born particulates (soot, smoke, sulfur dioxide and other components). Coal-fired pollution has been a concern in London since the middle ages. King Edward I briefly banned coal fires in 1306. Harbin, a city in China with more than 10 million people, was recently shut down because of high levels of pollution. The city's Air Quality Index (AQI) spiked to 500. For comparison, an AQI of 300 is deemed hazardous to human heath. Yānwù or 煙霧 is the Chinese word for smog. Coal fired power combined with a four-fold increase in the number of cars over the past 10 years in China has caused acute smog conditions during the heating season. An estimated 1.2 million Chinese people die from air pollution every year. 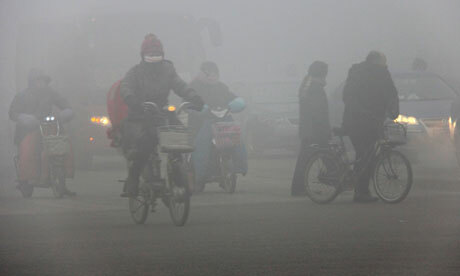 Beijing smog continues as Chinese state media urge more action, The Guardian, January 14, 2013. 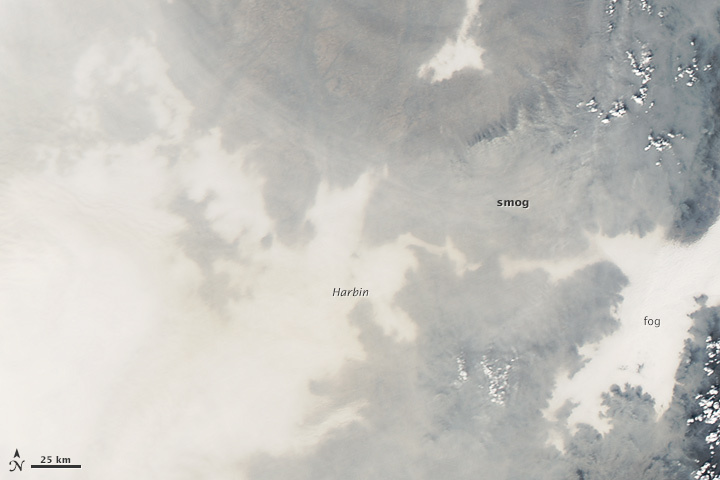 Smog Shuts China City, Chinese Fume. PBS NewsHour, October 22, 2013.